During the Play For Real event, children were first asked to remain inside the closed club house of Greenhills North. They were behaved on the floor, tapping on their tablets screens, without a care on what's going on around them. We actually arrived late so I didn't get to take a photo of the kids playing with their tablets, but I saw from the on-site picture slide show how all their heads were buried in their tablets. Too busy, and can't be bothered. (This is one of the reasons why I allow Rain to use her iPad when we're out. To keep her busy on the table in the restaurant. Guilty!). 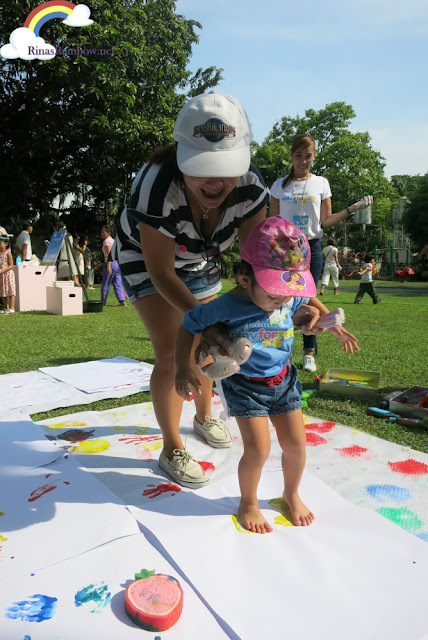 But after a while, the doors were opened, and the wide garden beside the club house was revealed to the kids, filled with different sensory activities that they kids can play with! And all the kids started exploring like crazy! ... and more importantly, the emotion they feel when they play with other kids. 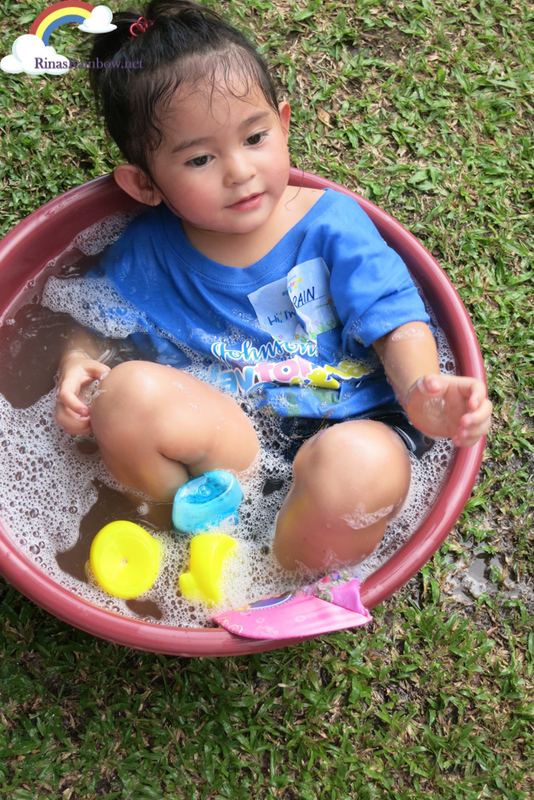 Sensory play allows our kids to feel the real softness of a sponge, for example. It allows them to observe how a sponge absorbs and holds water, and flows it out when you squeeze it. With sensory play, kids can hear the real sounds of nature like the gusting of wind, birds chirping, trees swaying, water splashing, or the real sound of an instrument being played. In this area, Rain was able to not only feel the smooth round texture of each unpopped popcorn, but she also heard the rustling sound it makes when the toy animals were moved around the unpopped popcorn box. Kids can also see the real vivid colors of the world when they go out and play. No HD television or retina-display can beat the real thing! With sensory play, kids will know the squishy yet satisfying feeling when they paint using their feet! Rain really enjoyed this painting area. She spent most of her time here. And most of all, the two things that they really cannot at all experience with gadgets are: First of all, smell. 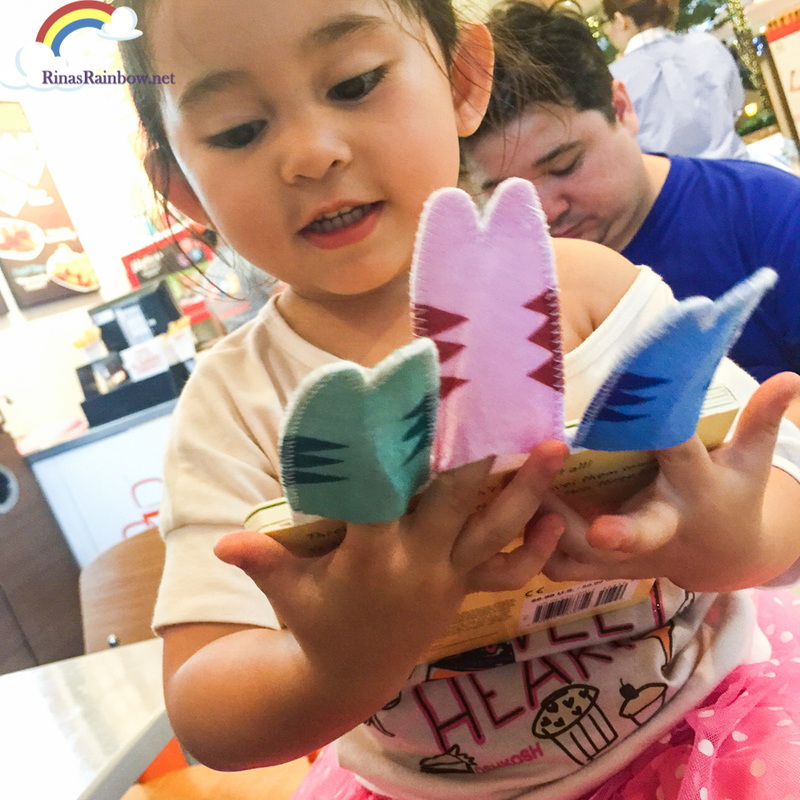 With real play, they will be able to smell the scent of a flower, the scent of the pages of a real book, or the delicious scent of freshly-baked pastries when they help their parents in baking. 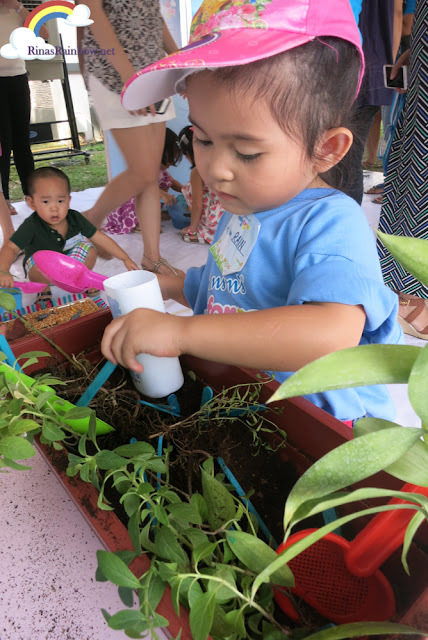 In this sensory activity, Johnson's added a sense of smell by using delicious smelling coffee grounds instead of soil in this plant box. 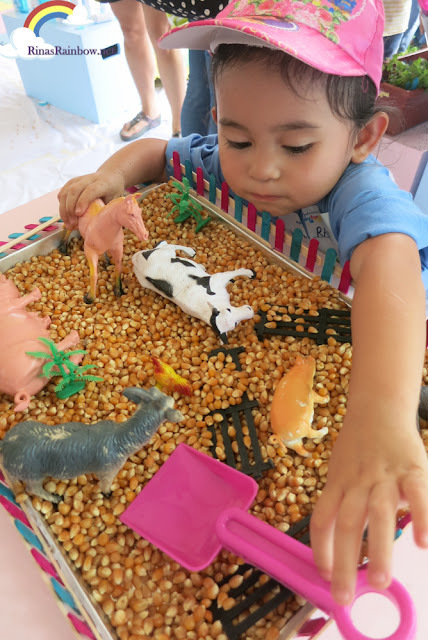 In this sensory activity, little toddlers can also learn about hand-and-eye coordination when they scoop up "dirt" and put it another container. 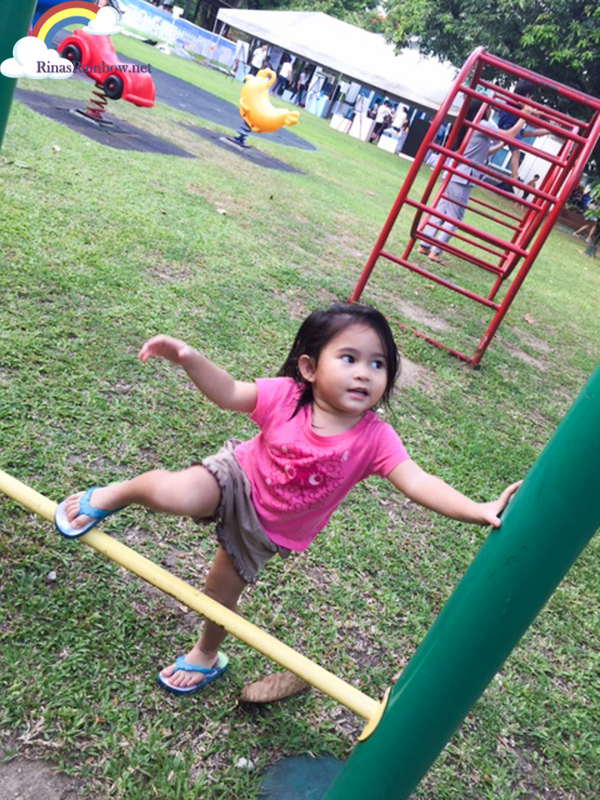 Second thing that they cannot experience with gadgets is physical activity. When kids play a dash game, they're not really running. The only part of their bodies that move are their fingers when they control the tablet. But in real play, kids get to exercise their legs when they run like the wind, or their arms too when climb monkey bars. 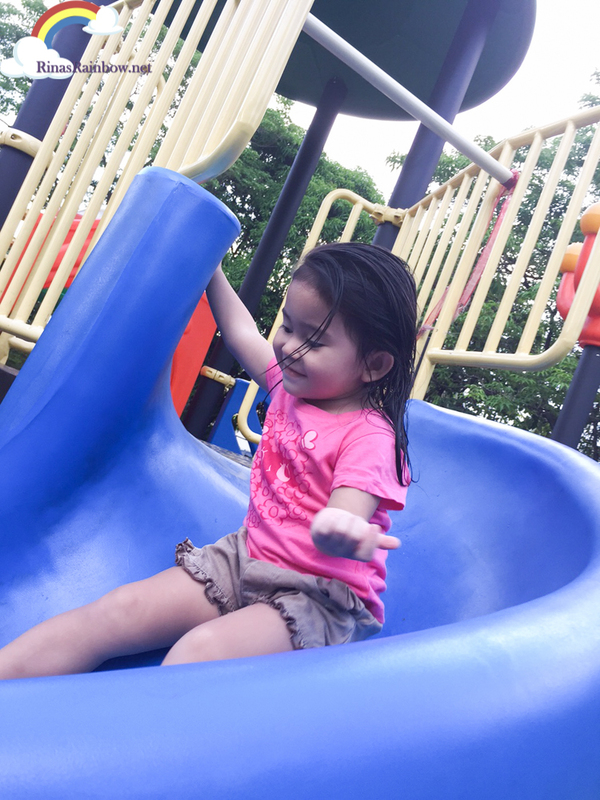 They get to feel that thrill when they slide down! They can also feel the cooling and refreshing effect of water when they take a dip on a hot day, as well as the slight tickling feeling as bubbles pop by their skin. 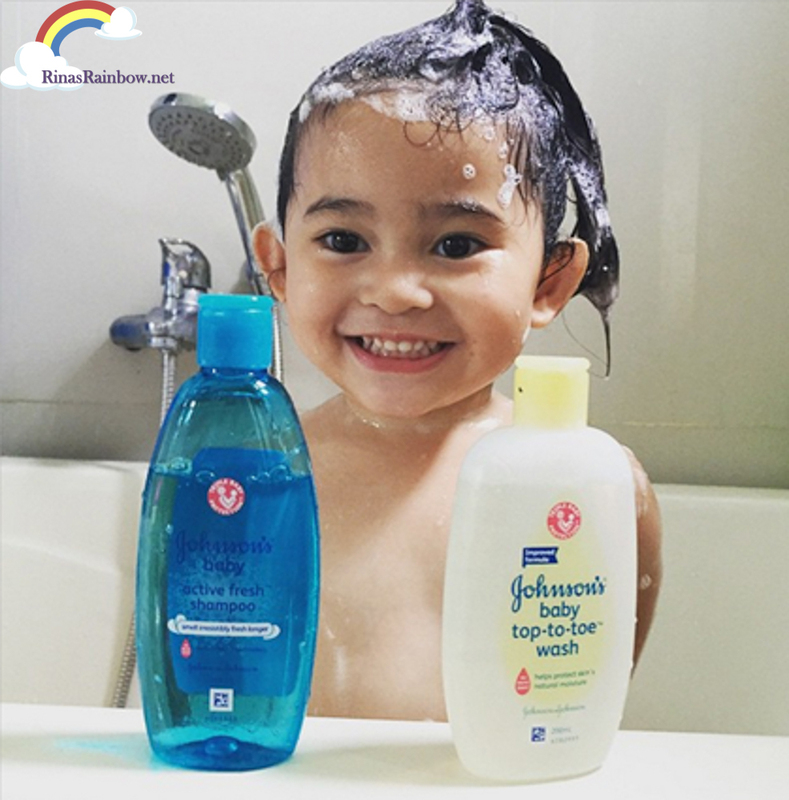 Kids can also feel the soft texture of Johnson's Baby Powder and the refreshing feeling they get when us moms powder them up after showering! .... these and so much more! I know that a lot of us moms forget to really let our kids play for real outdoors because of our busy schedules and the 10,001 things going on in our minds everyday. And it's good to know that it's not just me who forgets. 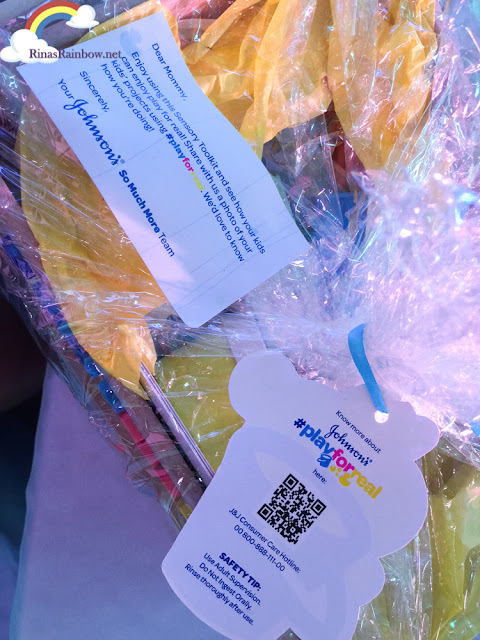 I felt a lot better after hearing the mommy speakers during the #PlayForReal event share their sentiments as well as to how some of them tend to forget how to really play with their kids, etc. I'm a stay-at-home mom and I do play with Rain. I'm lucky I can do that because I stay at home with her. But I can say that I still need to really play with her more. Not "play" with her with half a mind on the blog post that I need to write, for example. I need to play more tea parties with her, or play with her little toys WITH her. Not just let her play with her toys. There are a lot of real-play opportunities for parents and children. We just need to be more imaginative! 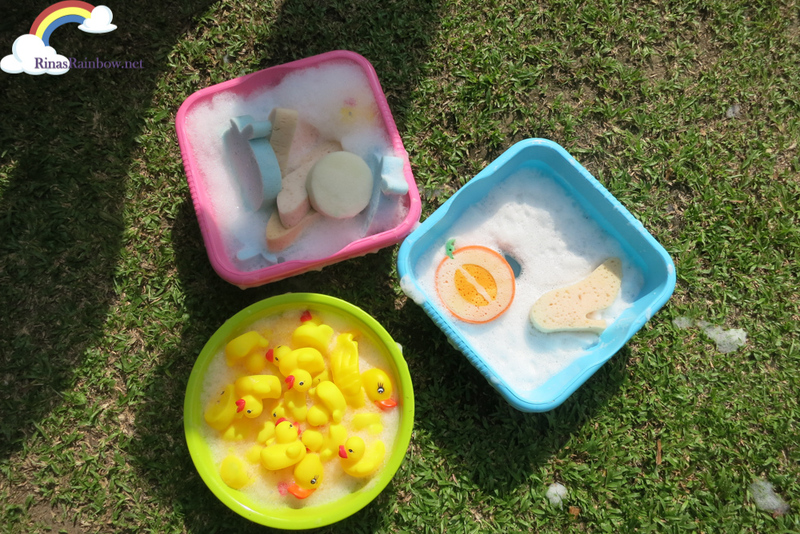 Like a simple bath-time can be converted into a real-play opportunity! 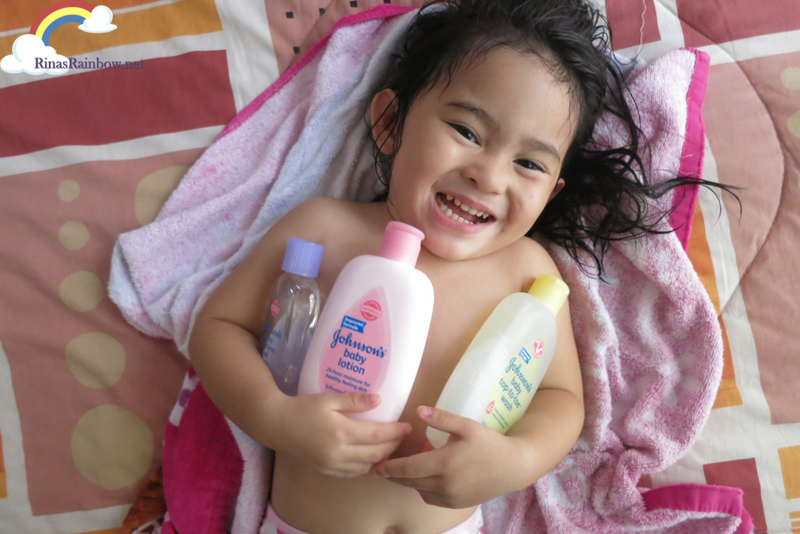 Just splash around with your little one, make bubbles, and play with bath toys! Let their imagination run wild! After the #PlayForReal event, I really cut down Rain's iPad and television time. Before, as soon as we come down to hang out in the living room, I would automatically turn on the TV so she can watch her Disney Junior. 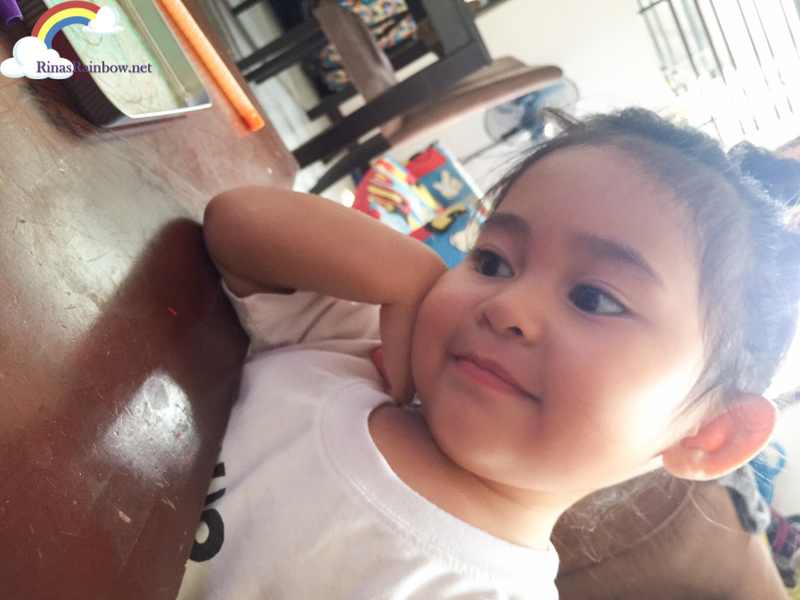 Now, she starts her day by concentrating on playing with her toys in the living room, and I don't turn on the TV at all until she tells me that she wants to watch. Same thing with her iPad. I don't give it to her if she doesn't ask for it. And she doesn't always ask for it so I'm happy with that :-) I also learned during the event that if you're an office-goer, you can show your kid's yaya how to really play with your child. This way, even if your not home, your kid will still develop his senses through sensory play! 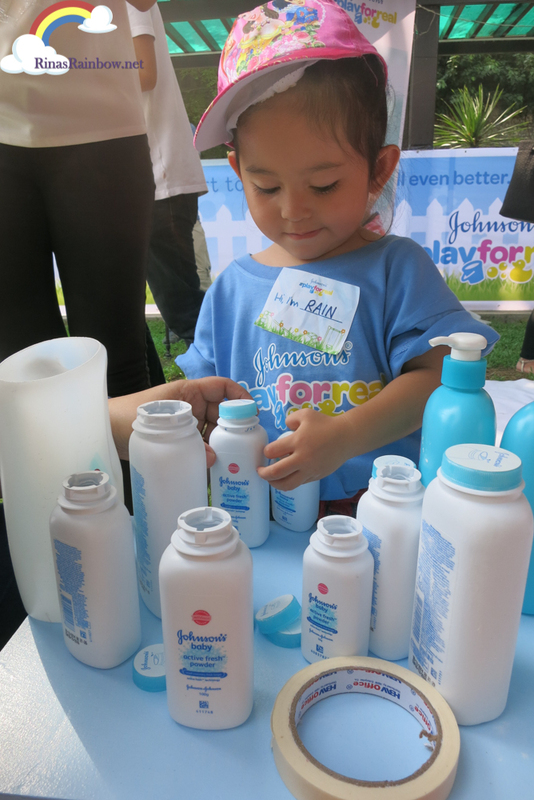 So thank you so much Johnson's Baby for reminding us parents to play with our kids as much as we can. After all, real playing is what being a kid is all about! Let's not deprive them of that. Nice baby toys. I think every baby like this. Thanks.